In keeping with the garden theme this week, here’s a thrifty tip I picked up from my parent’s home gardening techniques. I’m starting some of my seedlings this week. You can go to your local home and garden store and pick up one of these . . . They aren’t terribly expensive. They run around $4 – $7. 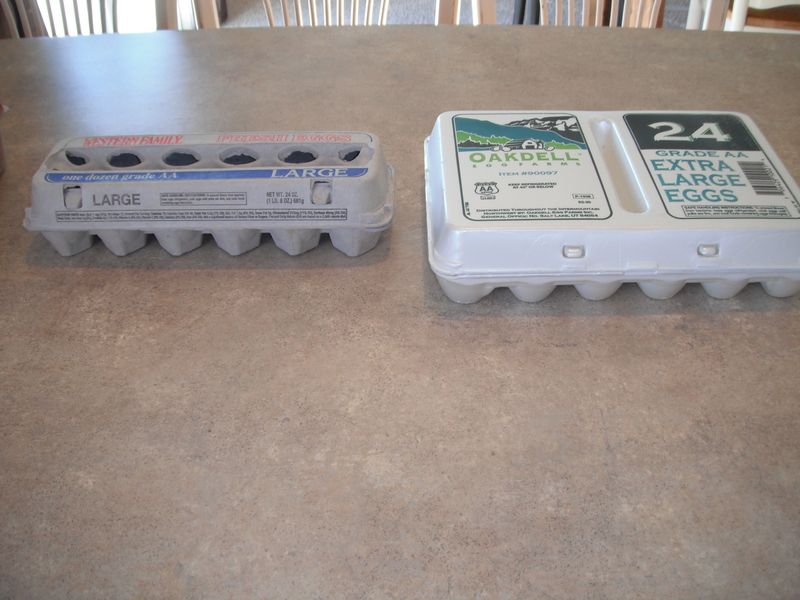 However, you can also use something most people have on hand – egg cartons. I cut the lids off, then save them to place underneath for support. The biodegradable kind (left in picture) tend to get soggy and weak as watered so you can place a layer of plastic wrap between cells and lid. 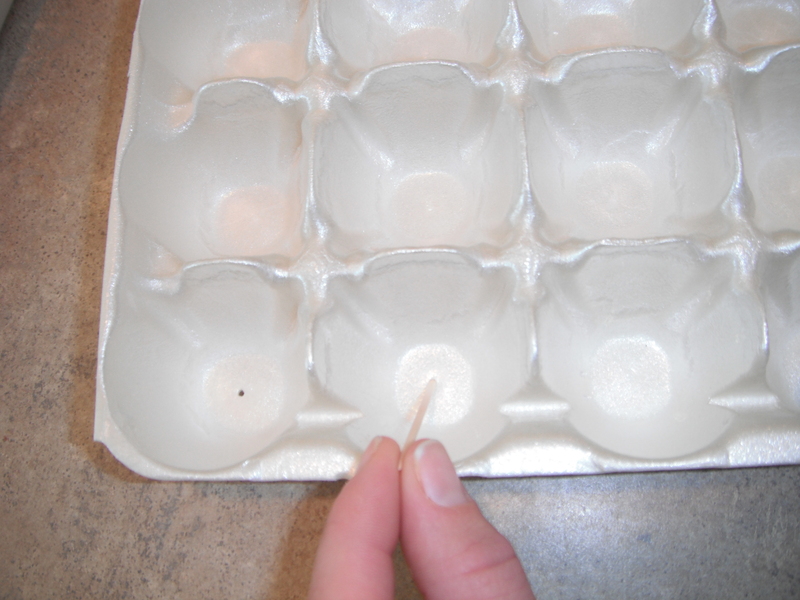 For the styrofoam type, I use a toothpick to poke holes in the bottom for drainage. 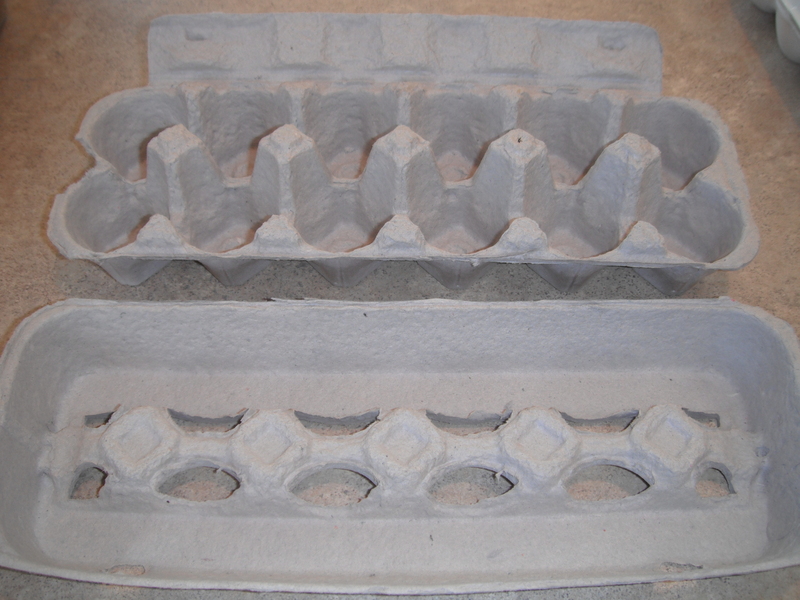 The biodegradable egg cartons can be planted directly into the soil along with the plants. The styrofoam, of course, cannot be planted. 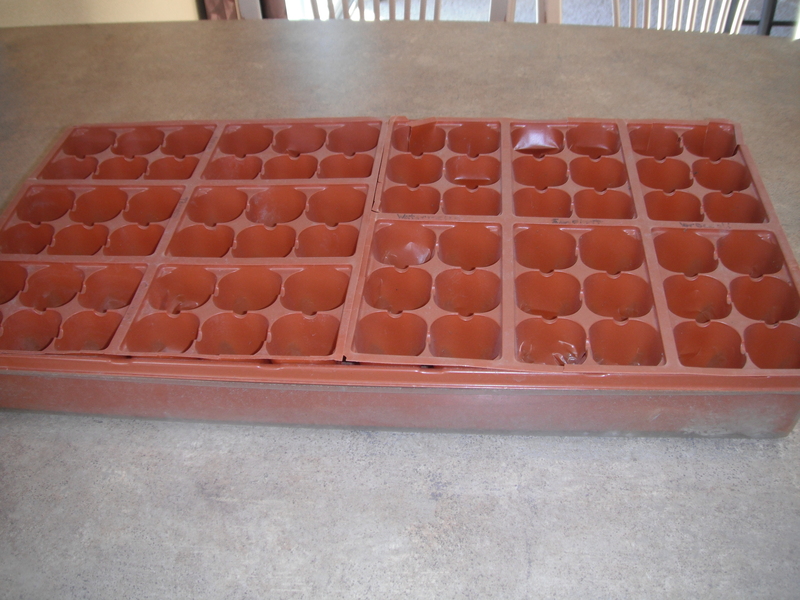 I have my seeds, I have my egg cartons, and I have a tray I’m re-using from last year . . . I’m ready to plant. 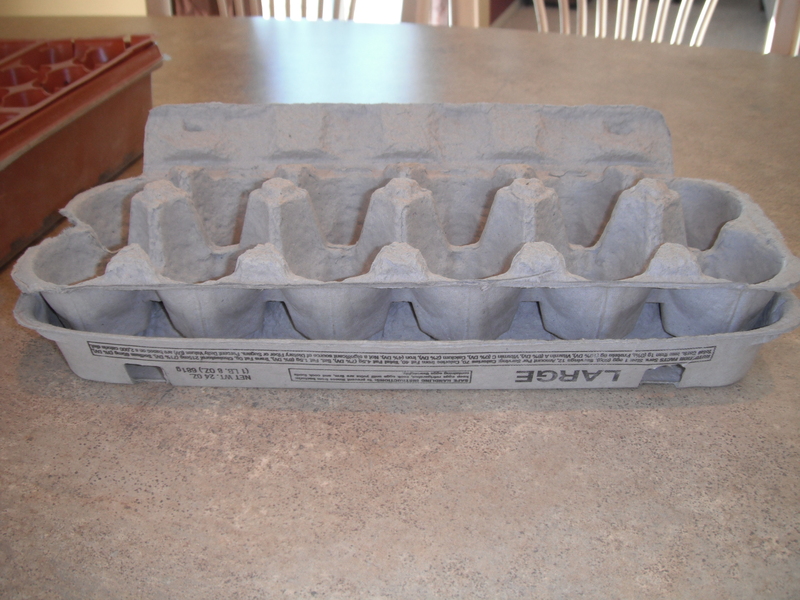 Posted in Thrifty Tips, Week 10: Garden Plan and tagged Egg carton, egg carton planters, egg carton seedling trays, Garden, organizing, Organizing the Garden, re-using egg cartons. Bookmark the permalink. Just a quick post tonight. 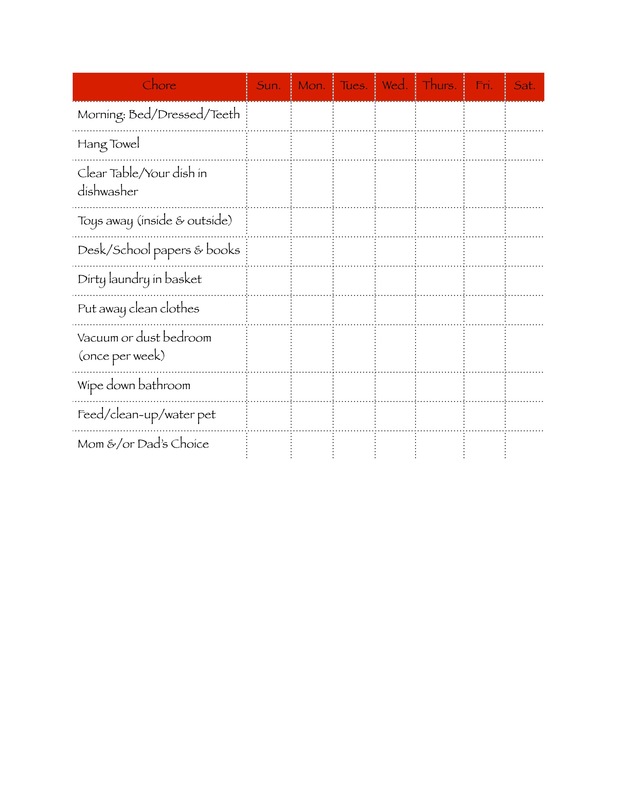 Here is the chore chart I came up with for my oldest son. The other’s are similar, but scaled down about according to each child’s age capabilities. There are a lot of cute templates out there (see Friday’s post for links), but none of them quite fit exactly what I needed. It’s simple, but to the point. This week I am going to be organizing my garden plan. It’s not quite planting time yet, but my good friend and fellow blogger from Kate’s Kitchen Garden reminded me that it’s time to plant seedlings in my area. This week I will be planting my seeds so that I can nurse them inside until planting time. I will be working out exactly what I need to plant and getting my garden plan ready. To find out planting time in your area, click here. Just enter your zip code and find out when to plant at what time. Pretty handy! Posted in Week 10: Garden Plan, Week 9: Chore Charts and tagged Chore chart, Garden, Garden Plan, organizing, Organizing the Garden, When to plant, When to plant the garden. Bookmark the permalink.